Would you love to own your own business in Australia? Do you want to be your own boss? Are looking for that once in a lifetime business opportunity in Australia? 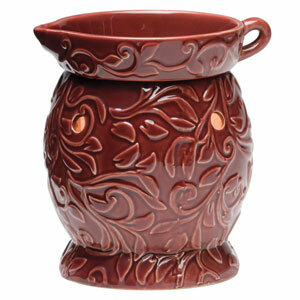 Selling Scentsy in Australia could very well be that opportunity for you. Scentsy expanded its market into Australia in October of 2013. Scentsy is looking for dedicated, ambitious people in Australia to start their own Scentsy business and sell Scentsy in Australia. Scentsy has proven its success in the United States and is now branching out into international markets such as Australia. Since its beginning in 2004, Scentsy has enjoyed a 200+% market increase every year. Scentsy went from being a brand new company to a multi-million dollar company in just 10 short years It's track record is amazing, and now people in Australia can enjoy this same success when they join Scentsy. Scentsy is a wickless candle company that features electric, ceramic, decorative, warmers that melt highly scented wax bars. The warmer uses electricity to warm the dish just enough for the soft wax to melt and release the scent. The wax never leaves the bowl so you don't have to hassle with soot damage in your home like a regular wick candle and there is no danger of fire. Because Scentsy takes out all of the negative aspects of candles and leaves only the positives, people all over the United States , Canada, Puerto Rico, Guam, and Europe have fallen in love with Scentsy! And now people in Australia can enjoy this same product. When you join Scentsy in Australia you will be the front-runner of this business in Australia and you will be able to build a successful team with Scentsy. Selecting a sponsor that will help you be successful is important. Join my Scentsy team and I will help you build your customer base and your team. Before you know it, you will be a successful Scentsy consultant in Australia and will be enjoying owning your own Australian business! To join Scentsy in Australia you must first apply for an Australian Business Number. indicate if you have ever had an ABN previously and whether you also need to apply for a tax file number. If you would like more information contact me and I will answer any questions you may have.